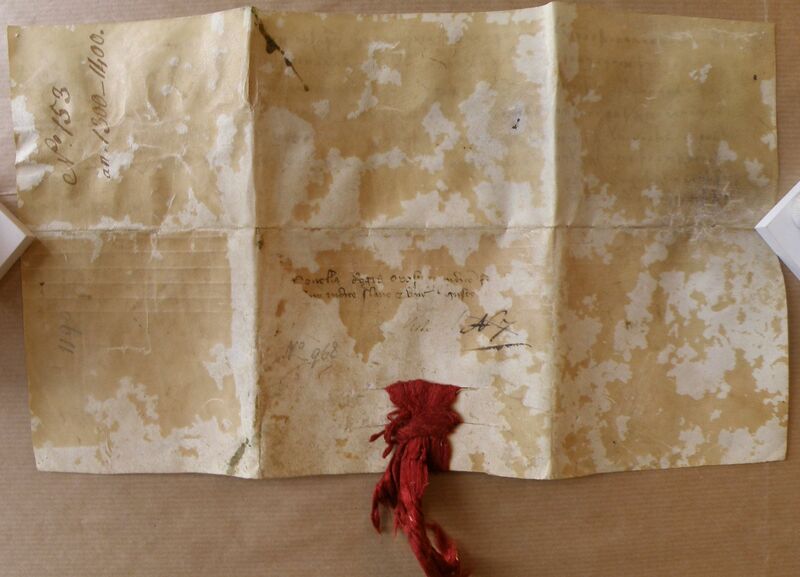 King Stefan Dečanski confirms to the citizens of Dubrovnik privileges given to them by king Milutin, especially release from debt imprisonment and the right to hearing by a mixed court. Državni arhiv u Dubrovniku, Beč 968. Seal: Red chord running through two cuts. Original dating clause: When the envoys Grubeša and Nikola came on Saint Stephen’s day to Dugo polje. P. Karano-Tvrtković, Srpski spomenici, 34, no. 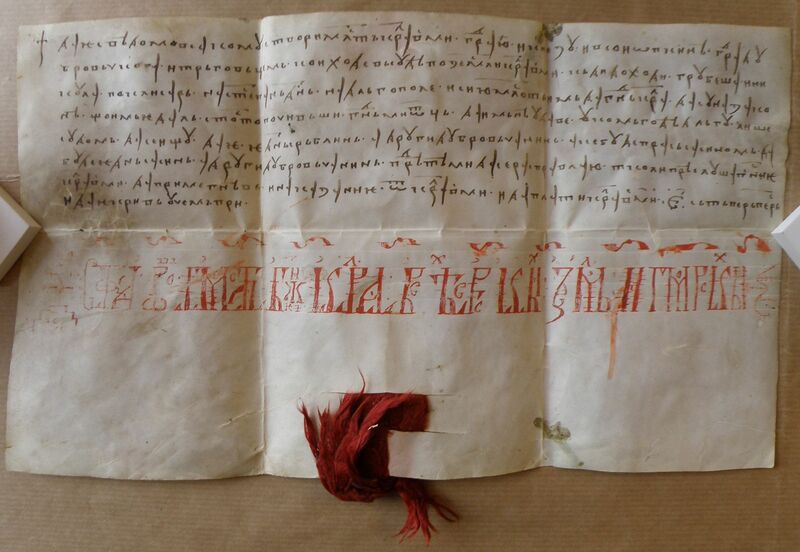 25 (dated: cca 1254); F. Miklosich, Monumenta Serbica, 51, no. 52 (dated: 1240–1272); S. Novaković, Zakonski spomenici, 160; A. Solovjev, Odabrani spomenici, 83–84, no. 46 (dated: 1302); LJ. Stojanović, Povelje i pisma I–1, 34, no. 35 (dated: after 1282); P. Đorđić, Istorija srpske ćirilice, 272, ph. 50 (only photo); S. Ćirković, SSA 5, 44.